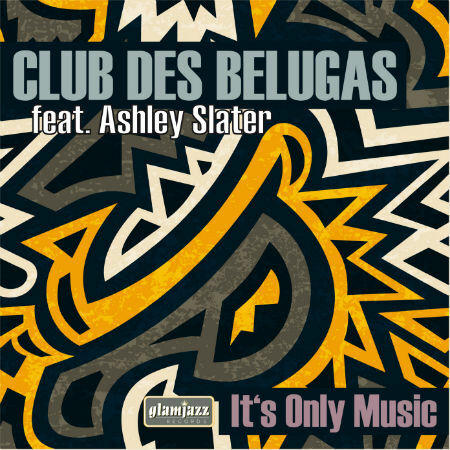 Now 14 years and 8 studio albums deep, nu jazz outfit Club des Belugas proudly present their first release on their own label Glamjazz Records, in co-operation with ChinChin Records. “It’s Only Music” features great vocalist Ashley Slater, known for the worldwide Top 5 Hit “Turn On, Tune In, Cop Out” with his band Freak Power and also for his collaboration with Fatboy Slim. In this exclusive EP release the single is accompanied by remixes by famous French producer & DJ Minimatic, who created a stunning uptempo electro version, and Papa Cobana who produced a mash-up in a 70s house style. This EP sets the stage for the release of Club des Belugas‘ upcoming full length “Nine”, a double CD with 30 tracks including 13 brand new ones and 17 mostly unreleased remixes, scheduled to drop in September. Keep your eyes and ears peeled!